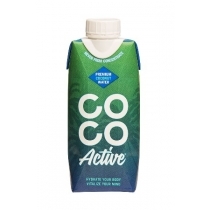 Coco Active coconut water is pure and natural with no added sugars or preservatives. Coconut water consists of different minerals which are very important to the body. 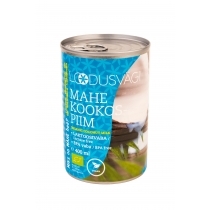 It is very refreshing with a sweet and nutty flavour, even more it has easily digestible carbohydrates and is very rich in potassium. Uses: Perfect for every day and after physical activity. 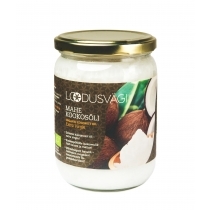 Organic coconut milk is made by cold pressing the pure coconut meat and then separating the oil so that only the coconut milk remains. The milk is then diluted with water and mixed to create a homgenised substance. Coconut milk is an excellent lactose free dairy substitute. Use it in soups, sauces, curries, smoothies and more. Store cool and dry. Shake well before use. Keep refrigerated when opened and use within 3 days.